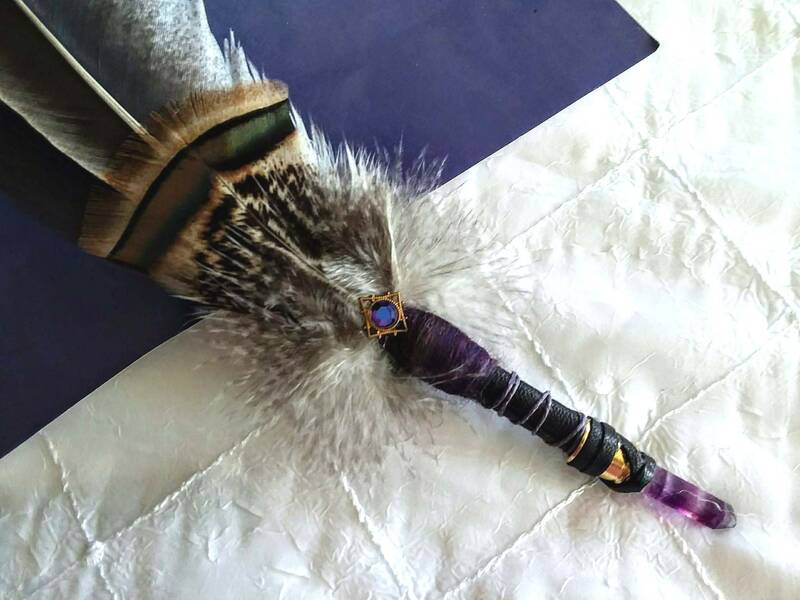 This feather fan is a 12+ inches, and is crafted from a Naturally Molted RARE BREED Turkey Quill & blue dyed pheasant tail feather. 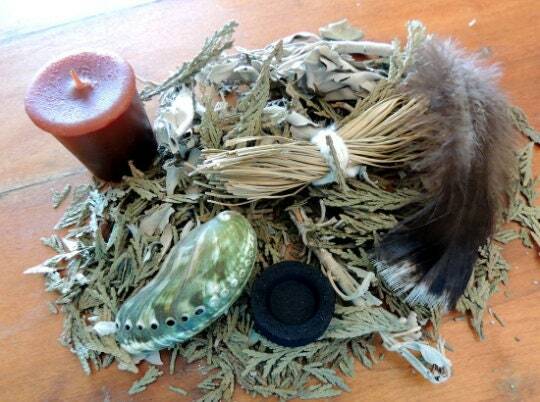 Its base is a single slender wooden handle, with leather & combed wool wrapping. 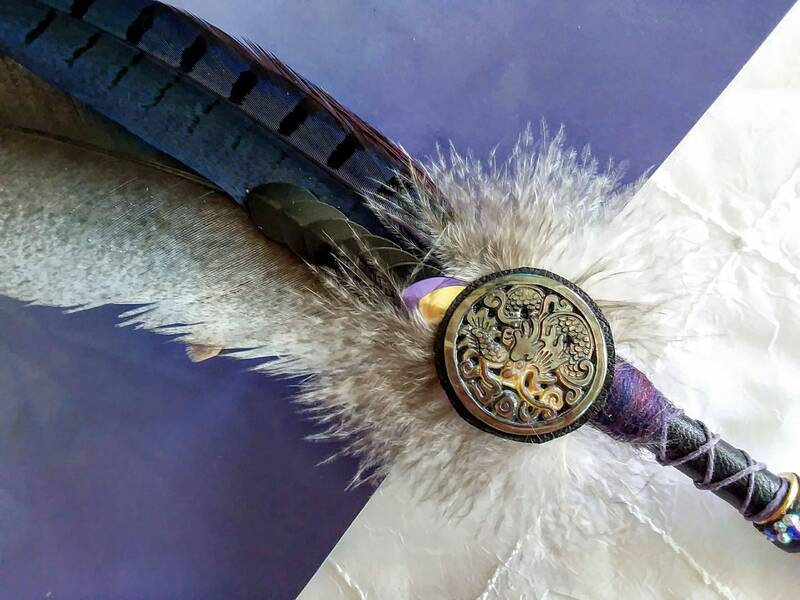 The violet BANDED FLUORITE has been braided & wrapped tenderly in soft leather, with crystals & brass fitting. 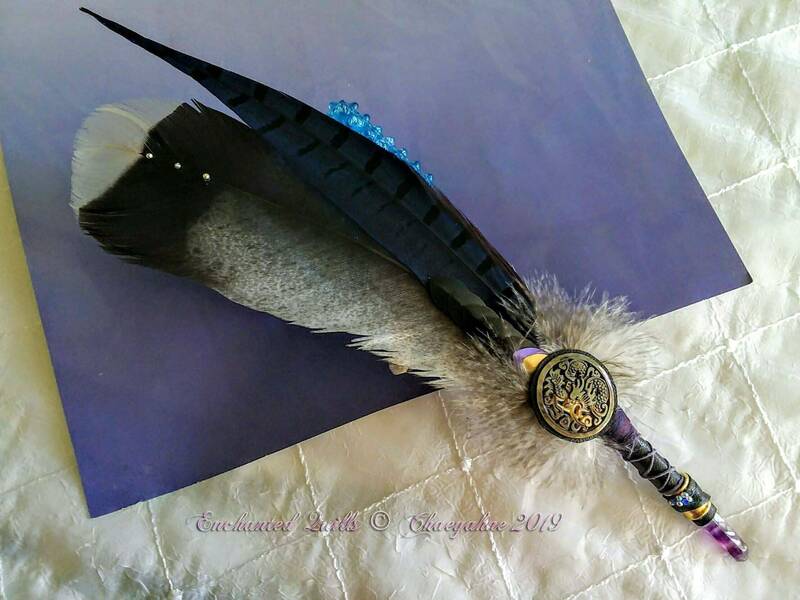 The main embellishment on THIS Prayer Feather include a gorgeous carved Black Abalone Dragon focal, with metallic black, gold & violet dragon scales along the main quills spine. 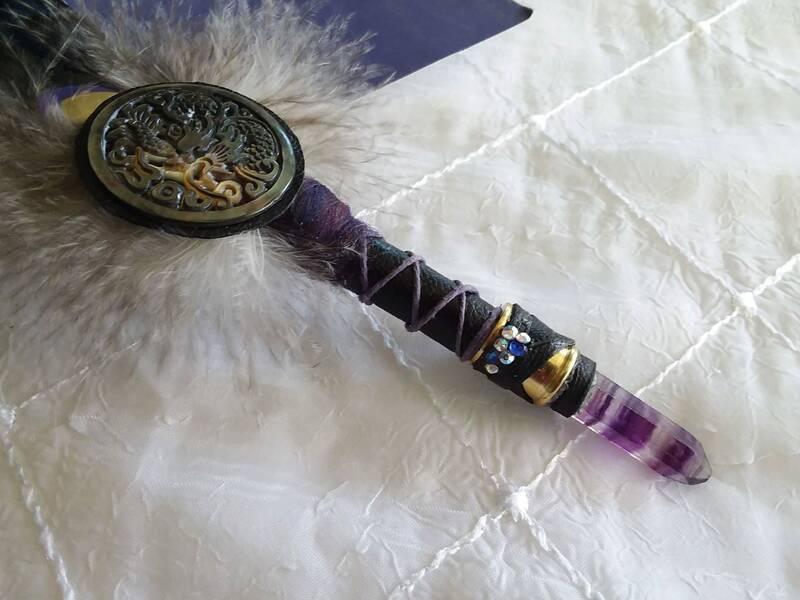 This fan is very lovely with its black contrasting points & violet purple accents! 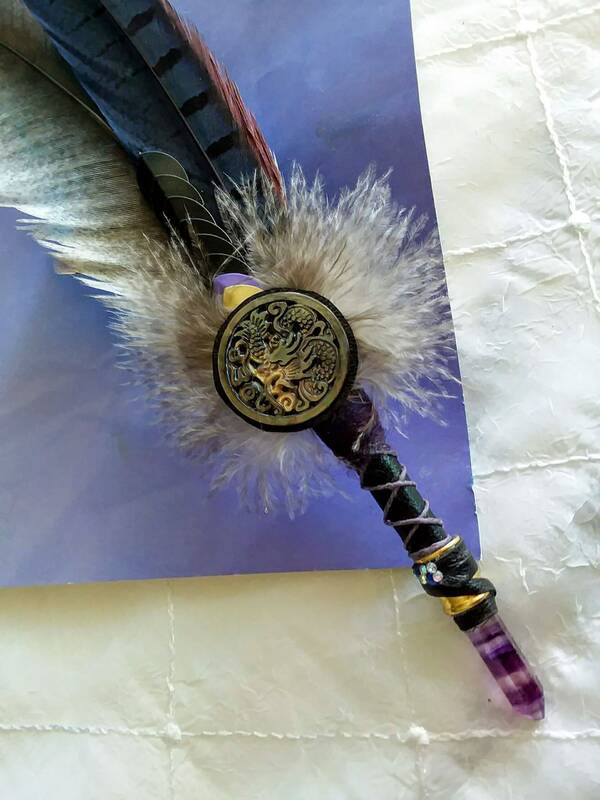 The Violet Dragon Prayer Feather Fan does come with a Smudge Kit (shown) which includes white sage, cedar tips, a sm abalone shell, and my trademark herbal loose incense blend. Thank you so much for viewing this item.